This beauty queen used Facebook to declare her HIV status. Her reason is incredible. 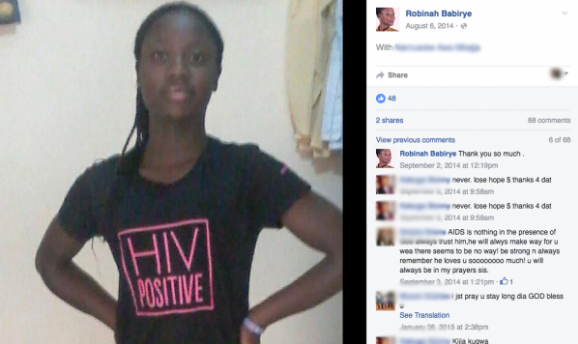 Robinah Babirye was just 10 years old when her mother told her she was HIV positive. Robinah speaking to the women of Kikubamutwe slum in Kampala during the Women’s Day 2016 celebrations. 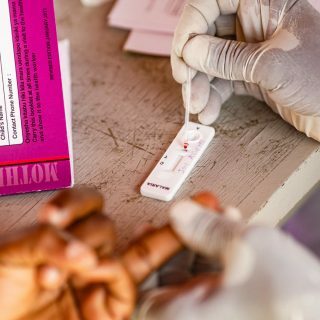 As she got older, Robinah kept her HIV status a secret at school out of fear of rejection. Like many in her generation, Robinah turned to Facebook. One morning, she decided to send a message that she would not be beaten: It was time to tell the world about her status. She put on a t-shirt that read, “HIV Positive,” took a photo, posted it on her Facebook page, and waited in trepidation for the responses. 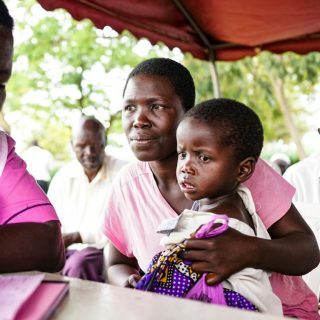 Robinah distributing condoms to people in Kikubamutwe in Kampala, Uganda. That was the beginning of Robinah’s journey as an HIV/AIDS ambassador. Emboldened, a few months later, she joined a support group of young people living with HIV who would meet and share their stories. This was an opportunity for her to share her own, giving her the strength she needed to feel like she could move forward with her life. In 2014, Robinah heard about a Miss Young Positive beauty contest organised by the Uganda Network of Young People Living with HIV. She knew that declaring her status on such a public forum could be either a blessing or a curse—but she went for it anyway. Robinah, now 23, has been unstoppable ever since. She’s shared her story at countless conferences in Uganda, and traveled to Australia to speak to an audience of about 15,000 people during the 2014 AIDS conference. She was named Young Personality of the Year by the World Savers Network, and spoke at the ICASA AIDS conference in Zimbabwe. Many young Zimbabweans followed her after the conference to ask her how she manages to be that courageous. “I told these young Zimbabweans that regardless of my HIV status, I have chosen to be happy,” she says. She is currently pursuing a Bachelor’s degree in community-based rehabilitation at Kyambogo University in Uganda. 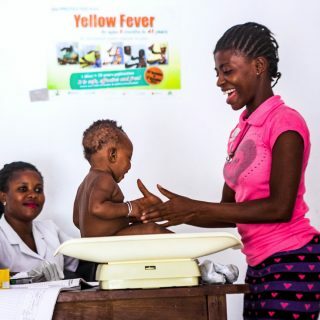 After college, Robinah says that she would like to reach out to young, HIV-positive mothers. “My life’s mission is to fight stigma against people living with HIV,” says Robinah. Robinah at the ICASA Zimbababwe conference. Everyone can appreciate those wise words from a determined woman who has already done so much to change her own life, and those of countless other people living with HIV. 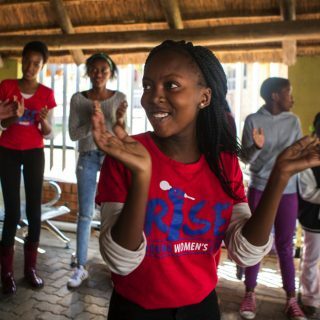 Want to know what you can do to help girls and women like Robinah? Join ONE today to help end extreme poverty!